Product Consists : Lindt Excellence Dark Sea Salt Chocolate (Weight : 100 Gms) along with Two bars of Toblerone Chocolate (Weight : 50 gms Each). 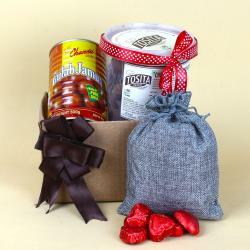 When it comes to online gift delivery, we are your best bet by far. 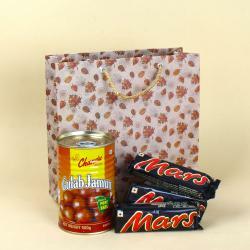 This is because we offer you a collection of the most innovative gift items for special occasions. Send this hamper with excitement and happiness. This appealing Lindt and Toblerone Chocolates is sure to be a perfect way of congratulating your loved ones on their special day. 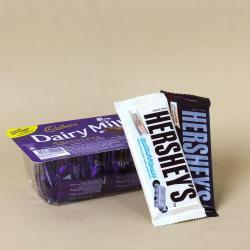 This delicious combination is an irresistibly unique Chocolate made from the finest Ingredients. 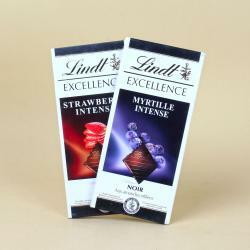 The Lindt Excellence range is created by our master chocolatier. The legendary Toblerone Swiss milk Chocolate with honey and almond nougat, shaped and packed in unique peak formations. Browse your favorite products, it is very conveniently available for online shopping from anywhere in India with Free Shipping. 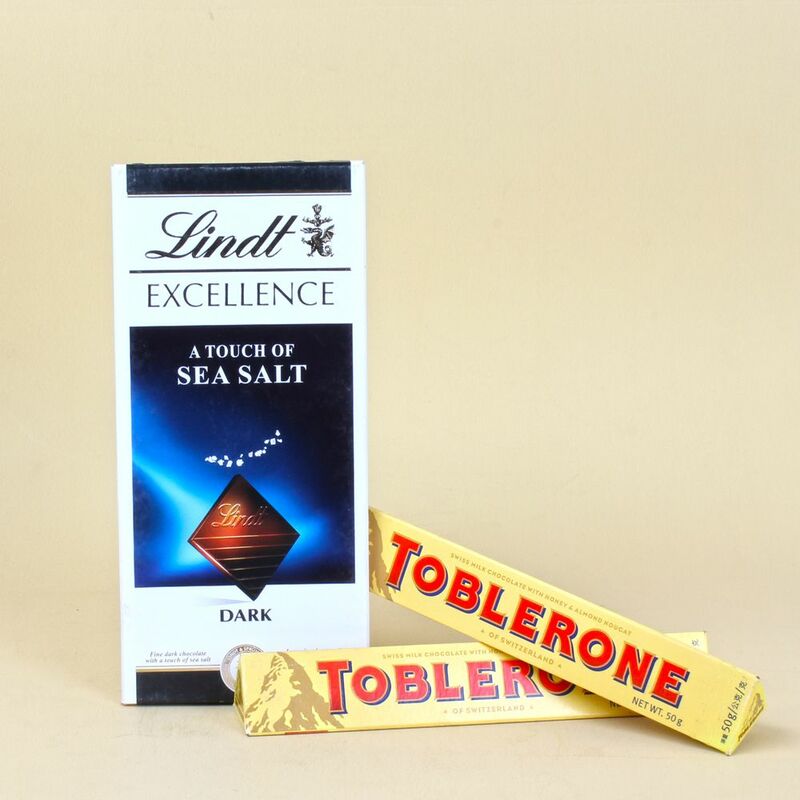 Product Includes : Lindt Excellence Dark Sea Salt Chocolate (Weight : 100 Gms) along with Two bars of Toblerone Chocolate (Weight : 50 gms Each).